The nation’s pioneer and leading Managed Print Services (MPS) company for health care, today announced that its President and Chief Executive Officer Joseph J. Flynn will present at the Southern California Investor Conference on Thursday, August 8, 2013 at 11:00 am PT. The conference is being held at the Island Hotel in Newport Beach, CA. CynergisTek will provide a comprehensive review of the company’s business strategy and outlook, and a discussion of its unique MPS strategy for hospitals. A live webcast of Mr. Flynn’s presentation will be accessible on the Southern California Investors Conference web site or log onto http://psevents.net/002/00271/2013-SCIC/?contid=Track-2. 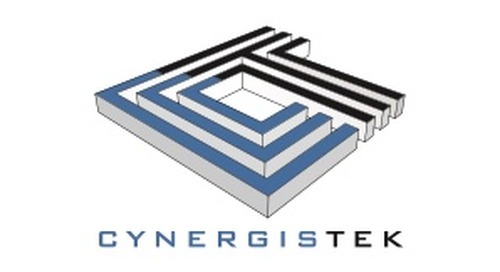 CynergisTek is the only vendor neutral, health care exclusive MPS company in the US. The company is at the forefront of providing specialized knowledge of hospital print environments that ensures cost reduction through continuous process improvements and operational efficiency. CynergisTek’s MPS business model includes placing full time, on-site teams of print services experts to build sustainable print programs to reduce volume and to manage print-related assets and expenses. Once contracted for MPS services, the company assumes all expenses related to the production of documents in hospitals, including services, supplies, equipment, legacy service agreements, parts, finance charges and labor. CynergisTek manages over 1.5 billion documents per year and more than 45,000 devices from multiple manufacturers and serves over 250,000 caregivers from coast to coast. CynergisTek, Inc. is the pioneer of Managed Print Services for the health care industry, working exclusively with hospitals and hospital systems throughout the United States. We are vendor independent and provide intelligent solutions, a risk free program and guaranteed savings. CynergisTek assumes all costs related to print business environments through customized, streamlined and seamless integration of services at predictable fixed rates that are unmatched in the industry. We work collaboratively to assist our health care-partners in the delivery of quality patient care. The service and solutions provided by our on-site Centers of Excellence professional print strategy consultants deliver unparalleled customer service across the industry. For more information about CynergisTek, visit https://cynergistek.com. This release contains certain forward-looking statements relating to the business of CynergisTek, Inc. that can be identified by the use of forward-looking terminology such as “believes,” “expects,” “anticipates,” “may” or similar expressions. Such forward-looking statements involve known and unknown risks and uncertainties, including uncertainties relating to product/services development, long and uncertain sales cycles, the ability to obtain or maintain patent or other proprietary intellectual property protection, market acceptance, future capital requirements, competition from other providers, the ability of our vendors to continue supplying the company with equipment, parts, supplies and services at comparable terms and prices and other factors that may cause actual results to be materially different from those described herein as anticipated, believed, estimated or expected. Certain of these risks and uncertainties are or will be described in greater detail in our Form 10-K and Form 10-Q filings with the Securities and Exchange Commission, which are available at http://www.sec.gov. CynergisTek, Inc. is under no obligation (and expressly disclaims any such obligation) to update or alter its forward-looking statements whether as a result of new information, future events or otherwise.